Our White 6" x 9" Economy Envelopes are made for use with our 2-up flat cards and bi-fold greeting cards! 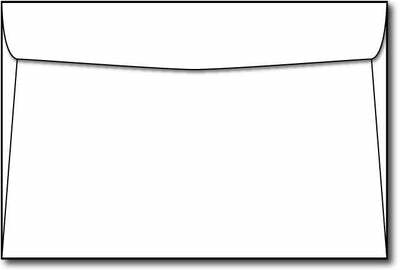 These White bi-fold and flat card envelopes are made from a 24 lb bond / 60 lb text (90 gsm) paper. Item Group# 57311 Product features 6" x 9" Booklet Envelopes White 24lb bond / 60lb text (90 gsm) Paper Stock Inkjet & Laser Compatible Available in 100 or 250 Envelopes.